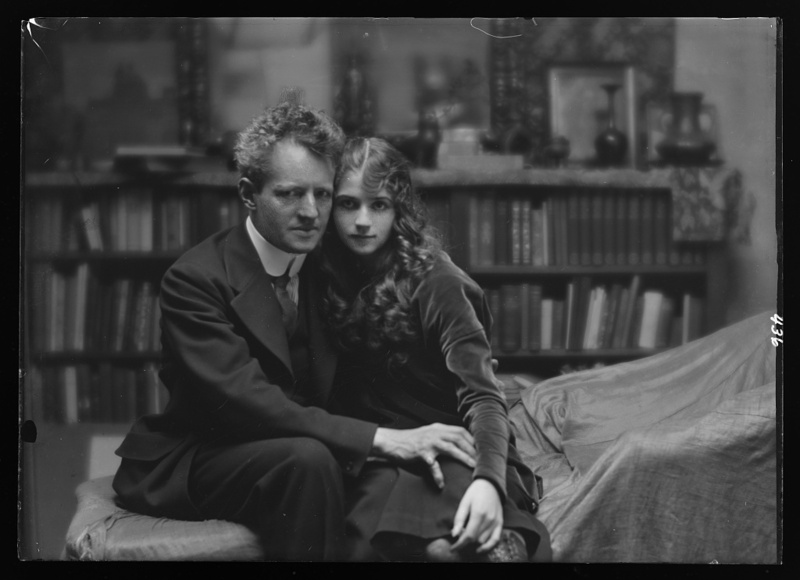 Arnold Genthe was born in Berlin. His father was a professor of Latin and Greek. Genthe followed in his father's footsteps, becoming a classically trained scholar; he received a doctorate in philology in 1894 from the University of Jena. After emigrating to San Francisco in 1895 to work as a tutor for the son of Baron and Baroness J. Henrich von Schroeder, he taught himself photography. He was intrigued by the Chinatown part of the city and photographed, often secretly, its inhabitants. About 200 of his Chinatown pictures survive, and these comprise the only known photographic depictions of the area before the 1906 earthquake. The San Francisco earthquake and fire destroyed Genthe's studio, but he rebuilt. He was a friend of George Sterling, Jack London, Harry Leon Wilson, Ambrose Bierce, and Mary Austin. He was appointed in 1907 to the Board of Directors of the Art Gallery in Monterey’s luxury Hotel Del Monte, where he ensured that the work of important regional art photographers, such as Laura Adams Armer and Anne Brigman, was displayed with his own prints. In 1911 he moved to New York City, where he remained until his death of a heart attack in 1942. He worked primarily in portraiture, and Theodore Roosevelt, Woodrow Wilson, and John D. Rockefeller all sat for him. His photos of Greta Garbo were credited with boosting her career. He also photographed dancers, including Anna Pavlova, Isadora Duncan, Audrey Munson, and Ruth St. Denis, and his photos were featured in the 1916 book, The Book of the Dance.